Like being creative in the kitchen? Enjoy art and design? Like to dabble in all things digital? The HOTS is the London 2012 Inspire Project for Hounslow and we are celebrating all things creative, digital and tasty! Over the Summer half term holiday Together We Create are joining forces with Griffin Park Learning Zone to provide 30 young people aged between 7-13 the chance to take part in a FREE Two-Day creative jamboree to celebrate London 2012. 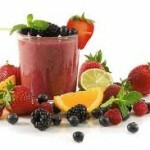 We will be making smoothies, getting involved in the Hounslow Bunathon and will be dabbling in Digital Art. The two day event is free. To reserve a place please email Sarah Hoyle sarah@togetherwecreate.org.uk . Places will be allocated on a first come first served basis. You must be able to attend both days of this two day workshop. HOTS -Let’s get digital workshops start with a bang! Before the smoothies came the dancing fruit!